Five soldiers were injured by a grenade explosion in an ambulance. 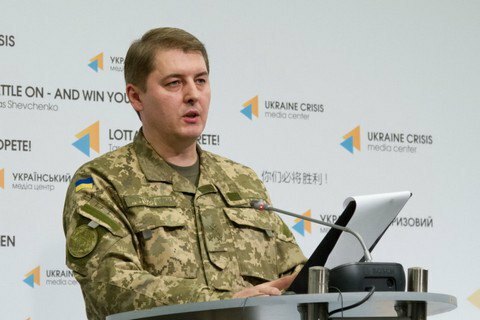 Over the past day, no casualties were reported, but seven army servicemen and one border guard got wounded in the zone of the antiterrorist operation (ATO) in Donbas, the spokesman of the presidential administration for ATO issues, Oleksandr Motuzyanyk, told a press briefing on 5 September. He said that one soldier was wounded in Avdiyivka, Donetsk Region while four soldiers and a border guard were injured in Stanytsya Luhanska District, Luhansk Region as a result of a grenade explosion in an ambulance car. Two more soldiers were blown up by an unknown explosive device in Krasnohorivka. Pro-Russian militants 20 times opened fire, mostly random, on the positions of Ukrainian military in Donbas the previous day.